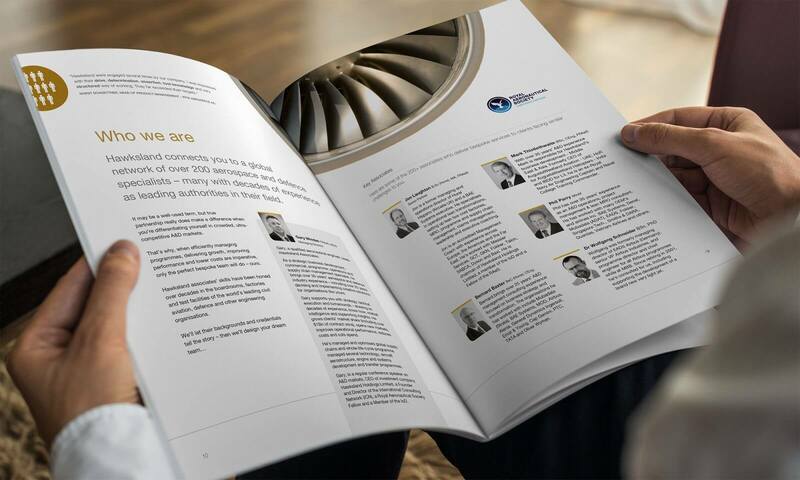 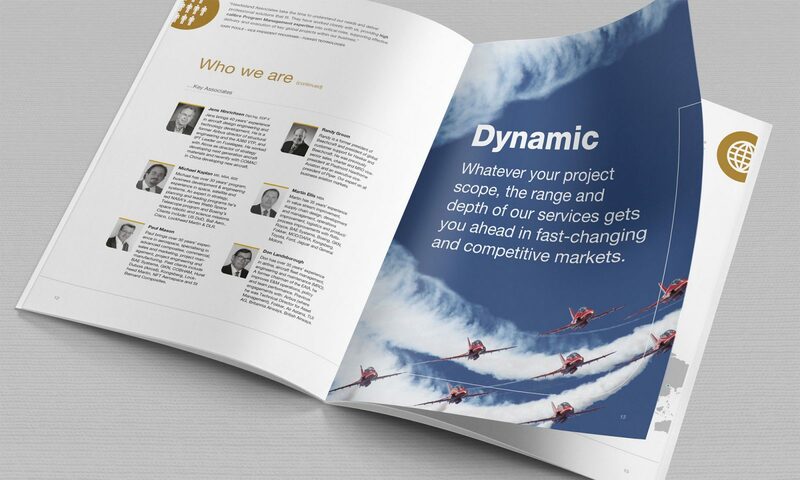 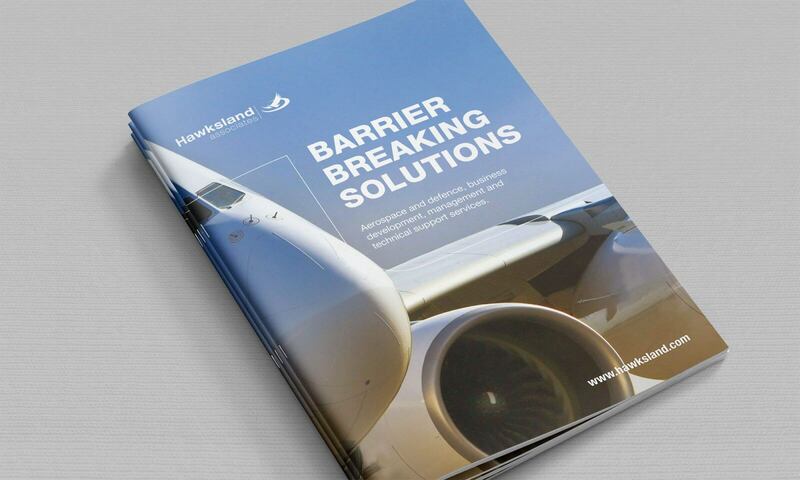 A 32-page brochure for a leading aerospace and defence consultancy. 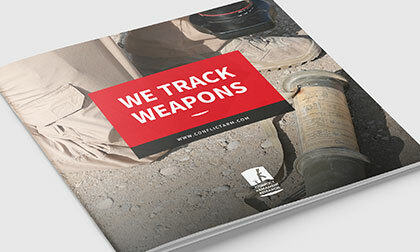 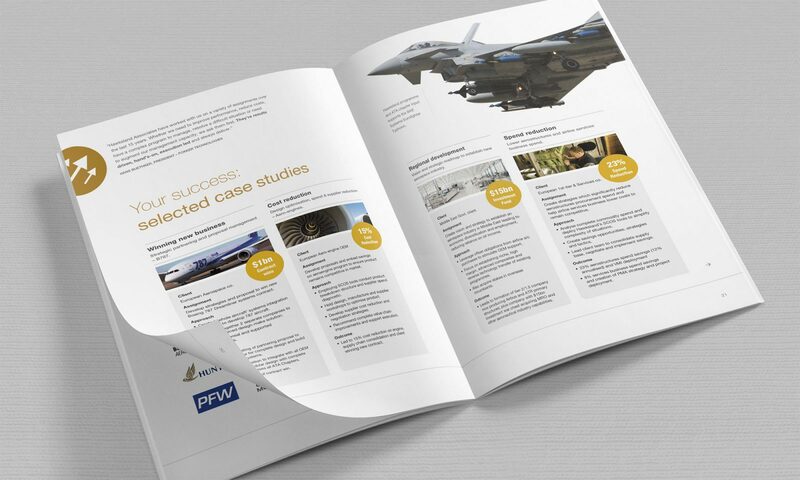 This brochure was designed to promote this aerospace and defence consultancy’s various service offerings from strategy and operations to technology. 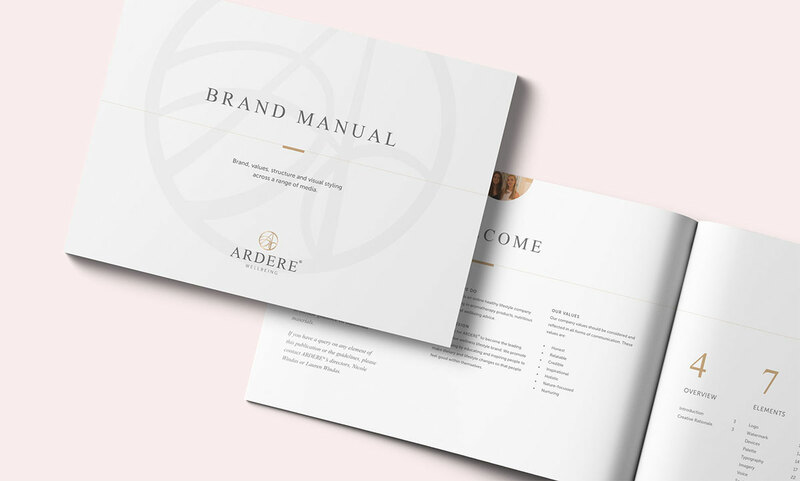 With well-known clients in their portfolio and experience in multi-million dollar projects, the brochure had to strike a balance between being informative and engaging. 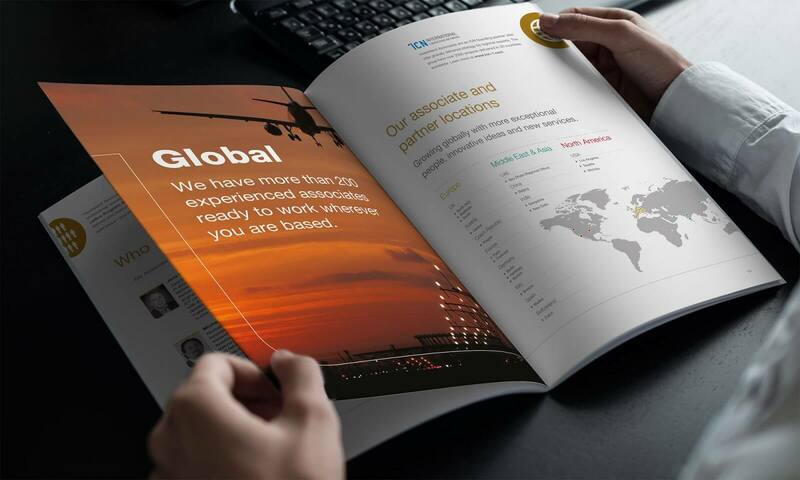 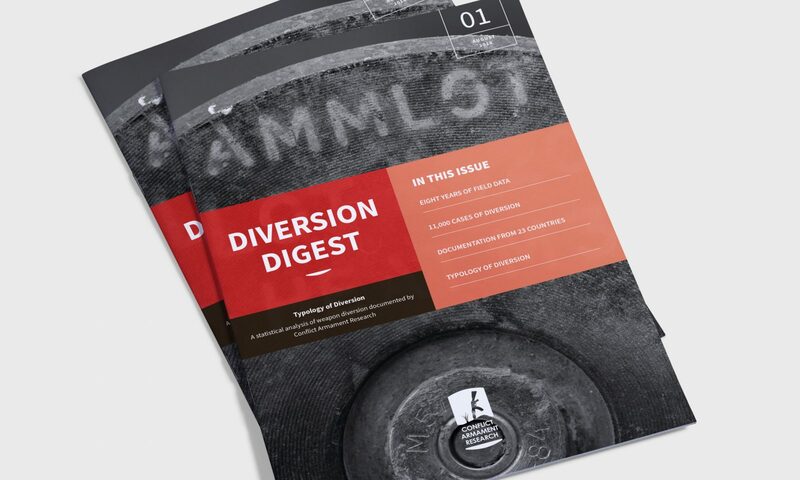 The pages are divided into two – one side conveying detail and the other a simple statement and arresting image coupled with a description which highlights a positive benefit of the organisation’s approach. 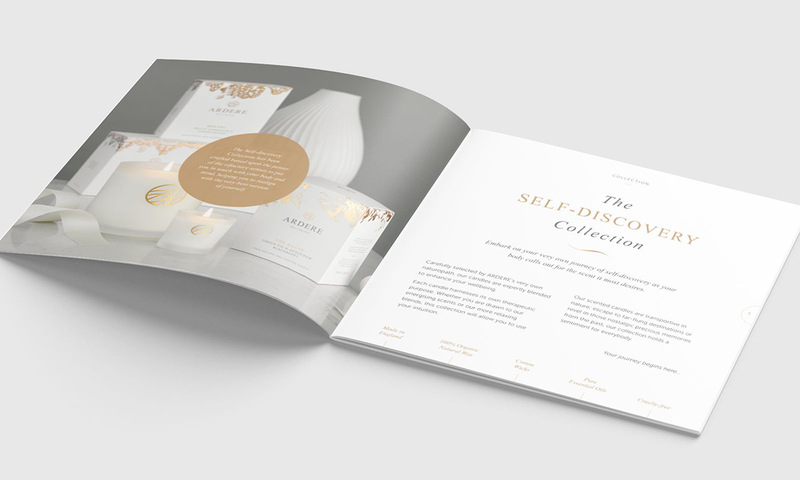 A copywriter helped craft and establish a tone of voice as well as keeping everything succinct and meaningful. 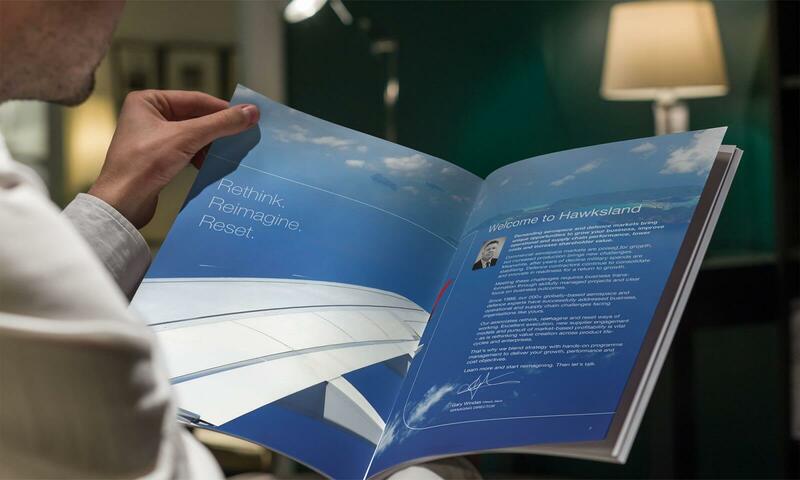 The brochure has been used at high level meetings in Europe and the Middle East to great success.